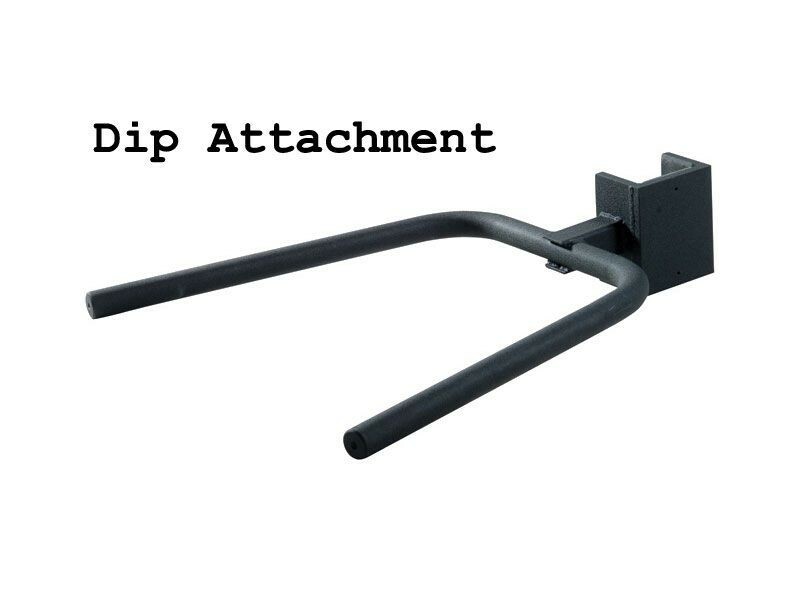 Extremely Heavy Duty - Weighing in at 590 lbs before you even add any of the many attachments! This should be among your top picks if you're looking for a heavy duty power rack that will never wobble on you. 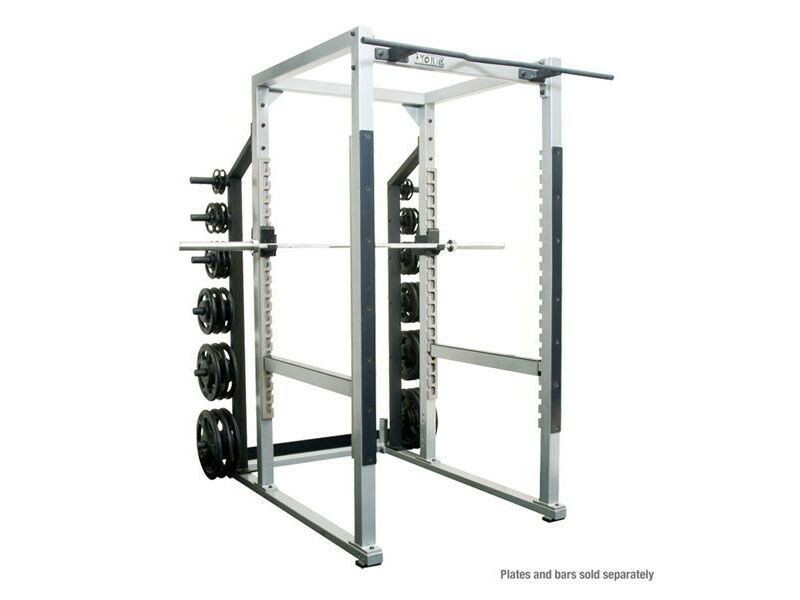 Outside Spotter Arms - This pair will fit on the outside, enabling you to lift safely outside the rack as well. 27" long, 2" tubular steel. Plastic wear guards run along the top of the arms. A single pin design fits into the hook plate in 3" on center increments. Extra Double J Hooks - Fully welded with replaceable plastic wear guards. 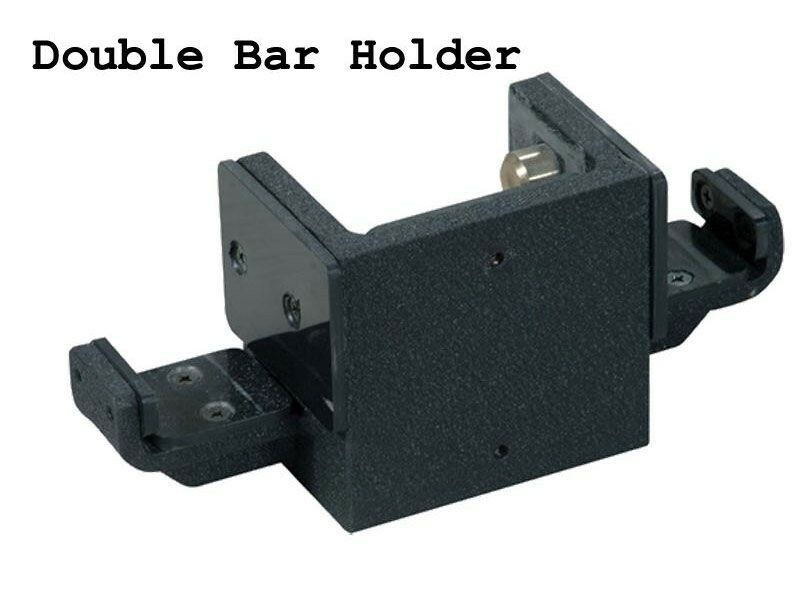 The opposing double peg design is a great addition for use on the interior and exterior side of the front upright. 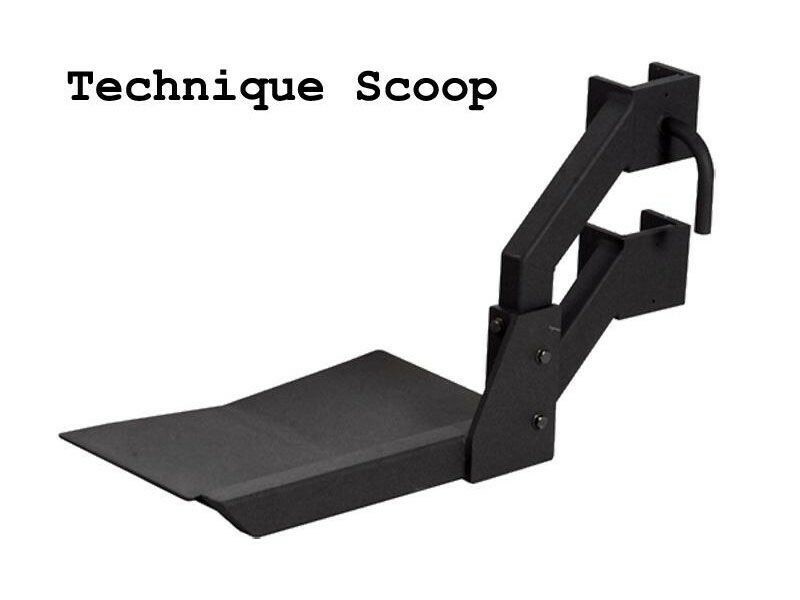 Technique Scoops - For doing deadlifts or cleans with a higher starting height. Attaches to the outside of the rack. Scoops feature a 12"x24" contact area and a 5 degree pitched valley allowing the bar/plate assembly to re-center itself when released. 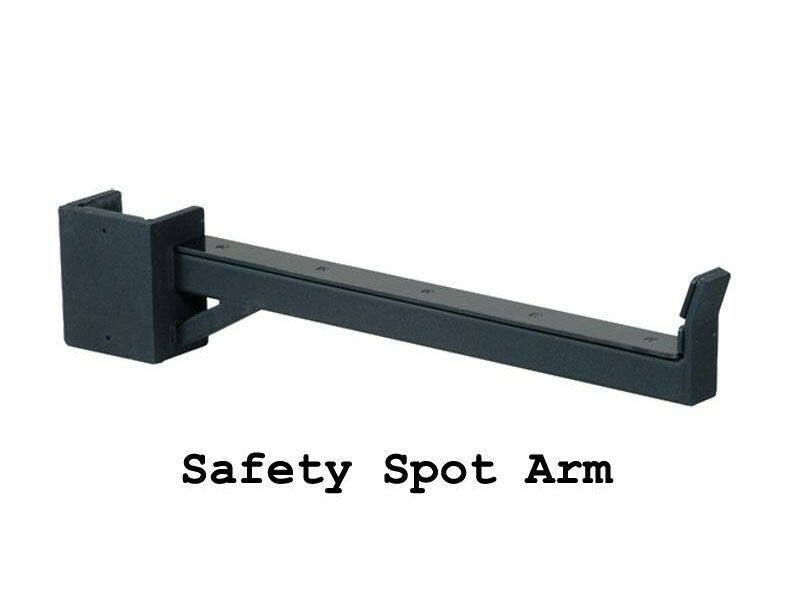 A double pin design fits into 2 safety slots in the hook plate for a strong hooking system.